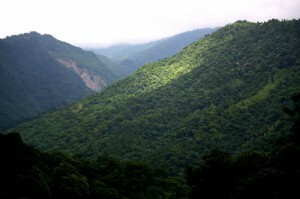 Places to see in Bungkulung: Bungkulung is nature lover’s paradise. The whole village is engaged in agriculture – you would find unending miles of paddy and millet fields and 19 big ponds for pisiculture. Bunkulung has been declared as a model village by the DGHC fisheries department in 2001. The pleasant climate, availability of huge tracts of barren land and easy accessibility of water from close by streams and rivers, help in promoting pisiculture in the region. Floriculture is also practiced in Bungkulung and the farmers. You can also visit the nearby Balason River and Murmah River. Nearby attractions of Bungkulung: You can visit the nearby tea factory and tea gardens in Murmah and Gayabari. You can also visit the town of Mirik just 15 kms away and enjoy a boat ride in the famous Mirik Lake. The Bokar Monastery in Mirik and the orange orchards of Rangbang can all be covered in day trips. Things to do in Bunkulung: You will never have a single dull moment, during your stay at this exquisite location. If you nurture an adventurous bent of mind, enjoy camping and picnics on the banks of River Balasun or take a dip in the chilly waters of this river. You can enjoy angling in the nearby rivers or indulge in horse riding through the paddy fields, mountains and tea gardens. Enjoy a nature walk along the picturesque landscape of Bungkulung. Enthusiast tourists can enquire for the local cultural program, organized in open air with barbeque and campfire. 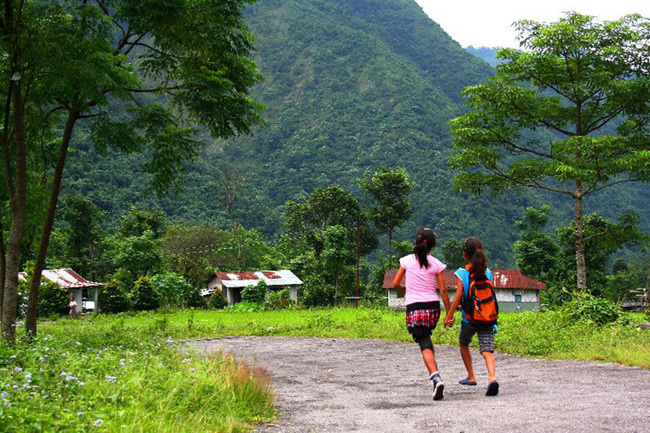 You can also enjoy village treks to various nearby villages around Bungkulung. 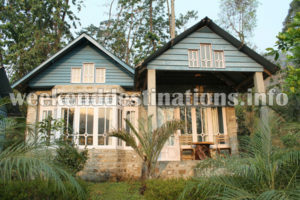 How to reach Bunkulung: Bunkulung is 48 km from Siliguri, in the Siliguri-Mirik highway. 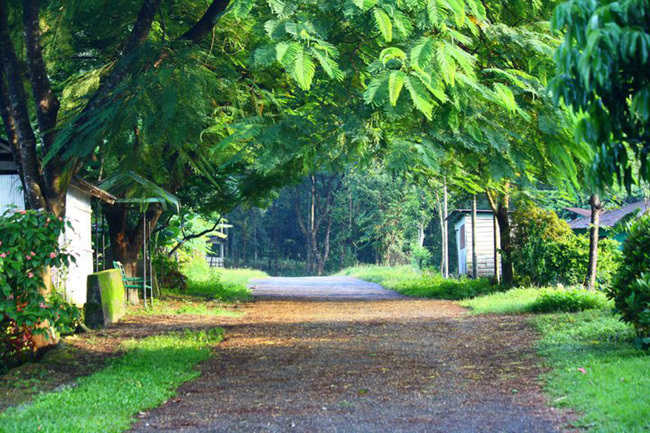 Tourists can hire a vehicle from New Jalpaiguri to reach Bungkulung. It takes around 2 hours to reach Bungkulung from Siliguri via Siliguri-Mirik road. You can also hire cars straight to Mirik and then change for a car to Bunkulung. Best time to visit Bungkulung: You can visit Bunkulung any time of the year. In the rainy season, the whole of Bungkulung is shrouded in green and in the winters when the millet and paddy ripe, the endless stretches of golden brown covers the mountain slopes of Bungkulung. Lodging and dining facilities in Bunkulung: Our spacious and clean home stay in Bungkulung is facilitated with all basic features like hot water geysers, attached western bathrooms, lawns, sit-out arrangements, TVs, seating arrangements and comfortable beds. The three cottages are styled along the English Country Cottages and is nestled within sprawling gardens. Our host can arrange Nepali cultural programs, camping on the riverside and guides for village walks on request. Food is essentially homemade and farm fresh and served with lot of care in our Dining Hall. 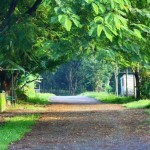 Photographs by Sourav Dalal & others.